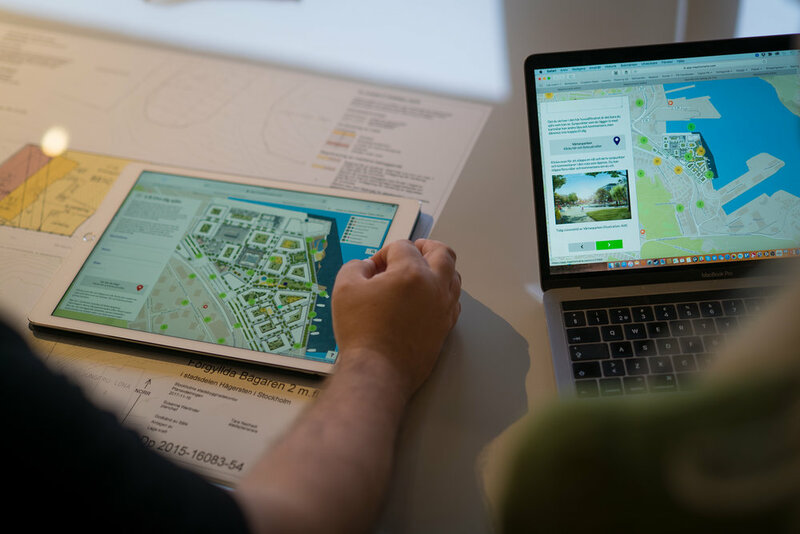 A recent study published by the CORE project concludes that having people participate in urban using online map-based surveys, or public participation GIS for a scientific term, is likely to be an integral part of planning processes in the future. Map-based survey solutions, like Maptionnaire, enable the gathering of geographic information that is based on the experiences and perceptions of inhabitants. The collection of this local knowledge has become popular in master planning and detailed planning, as well as increasingly in the planning of transportation, landscapes and natural resources. The study was completed in early 2018 by the Finnish Environmental Institute (SYKE) and Maptionnaire (Mapita) and carried out by consulting 80 urban planners in Finland by an online survey and five interviews. The research focused on examining how planners perceive the performance of map-based surveys in their work: what kind of experiences, successes, and challenges they have encountered, as well as how they view the effectiveness of engaging with citizens in this way. Based on the study's results, map-based surveys have a strong foothold in participation processes: Their application is among the most used methods to engage citizens, alongside workshops, resident panels, social media, and regular surveys. The planners' experiences from working with map-based surveys were mostly positive. A large part of respondents strongly agreed (42%) or agreed (46%) that map-based surveys were useful for their planning work. 82% of the respondents also felt that the data collected with such surveys was useful, and, following their positive experiences, were planning to use map-based surveys again in the future, either with selected projects (65%) or broadly with several projects (33%). The main challenges experienced with map-based surveys were related to technical questions, data analysis, or communicating about new survey projects. Many of these challenges are also associated with other participation methods. The planners considered map-based surveys to be complementary public engagement methods that cannot completely replace traditional participation methods. On the other hand, approximately half of the planners had collected feedback about map surveys from their participants, and, based on this, said people find the method an interesting and fun way to participate. The main challenges planners identified belonging to participation processes generally, involved a low number of participants, demographic homogeneity of participants, and discussions characterized by strong and negative commenting. Against this starting point, the use of map-based surveys was perceived to be beneficial because with them it is easier to reach a broader and more heterogeneous public than with offline methods. The visual layout of map-based surveys and their ease of use was also seen to motivate residents that do not actively participate to share their opinions about planning issues. Face-to-face planning meetings typically draw a crowd that strongly opposes the project at hand. Map-based surveys do not solve or remove conflict situations, but they can be applied to obtain a wider understanding of how inhabitants feel about a project. The study found that it is not unconventional for planners to discover they're receiving positive feedback on their plans through map-based surveys while the atmosphere in face-to-face meetings on the same project would indicate the opposite. In projects that stretch over a large geographical area, e.g. master plans, it is practical to collect data using a format that's designed around a map because this makes it possible to connect people's comments and opinions with the right areas. Most of the planners that took part in the study said that data collected with map-based surveys helps in grasping the participants' needs and spectrum of views. Furthermore, the planners saw that the data collected with map-based surveys influences their plans either directly by pointing out to necessary amendments or indirectly by planners absorbing ideas that can influence further planning stages or other processes. It may require time and effort to analyze the data collected with map-based surveys, the study suggests. Many planners pointed out that going through the answers of open-ended survey questions as well as the detailed comments attached to place markings are resource-intensive tasks. The respondents stressed the important of thinking ahead by allocating planners with enough time and relevant know-how to a participation process where a map-based survey is used. Communication, both internally and externally, was elevated as another general challenge relating to participation processes in the study. Against this background, the planners experienced map-based surveys as a positive solution: The method, in their opinion, improves the knowledge flow between planners and participants because it is easy to inform participants through map-based surveys and the project's website. The planners expressed that inhabitants can stay informed throughout a process this way, given that enough attention is given to survey marketing and using multiple channels. The study's findings emphasized that the effectiveness of participation is heightened by timing the use of map-based surveys to the early stage of a planning process and applying the survey to clearly communicate what the future may bring. The planners also noted that sometimes resident responses collected at a later planning phase are of better quality, but their effectiveness is lower: It can be difficult to implement them in the plans anymore. Finally, the planners identified citizens' general understanding of municipal planning as a major challenge. In their experience, people tend to share opinions and ideas that are either very detailed or too vague, which easily leads to feelings of disappointment when the ideas don’t appear in plans as such. The study's results suggest that clear communication on the aims and scope of a participation process and the project at hand are important elements of successful participation. The popularity of map-based surveys has grown during the past decade. In the future, digitization and its possibilities will likely affect people's opportunities to participate in planning even more forcefully. This means map-based surveys are here to stay. Map-based surveys allow planners to work with a low-threshold method that empowers the wider public to participate in the planning of cities and results in spatial data that contains the views, hopes, and worries of local inhabitants. Even if map-based surveys cannot currently replace traditional participation methods in planning, they are complimentary for the task of giving people stronger and effective ways of getting their voices heard. Particularly map surveys that emphasize participation in the early stages of planning and two-way communication are proven to have an impact on the direction of planning projects. This article is a translated summary of the original "Tutkimus avaa karttapohjaisten osallistumismenetelmien roolia nykypäivän suunnittelussa" by Liina Marttila & Kirsi Forss. The original article appeared in Maankäyttö 3/2018 and has also been republished on the Maptionnaire website. The picture featuring this blog post was taken by Jens Herrndorff in Helsingør, Denmark.